1.3 How should you eat in case of bronchitis? 1.6 Which vegetables are most recommended? 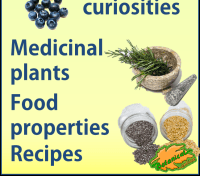 1.7 What foods should not be lacking to strengthen the organism? The most suitable diet for bronchitis is one that, in addition to being a healthy diet, includes some foods or remedies that help improve the symptoms of the disease and accelerate recovery time. Although food is considered a potent natural medicine, medical supervision is essential to cure bronchitis. It is important to see a doctor especially when bronchitis occurs in infants and children, as these are more prone to complications. In addition, it is advisable to consult the doctor again if the symptoms do not improve or if they worsen: if a high fever appears, if there is a lot of discomfort, or if the cough persists for many days. It is also recommended to avoid tobacco smoke (active and passive smokers) and the inhalation of irritants. How should you eat in case of bronchitis? 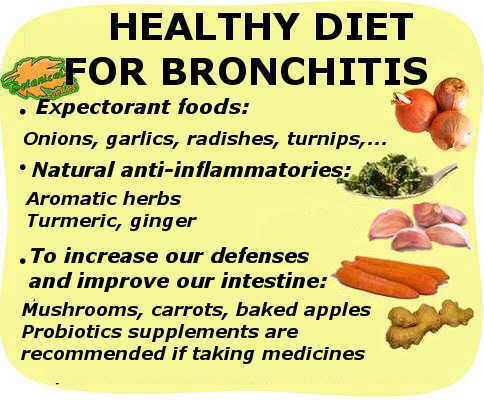 The diet for bronchitis has to be a natural, nutritious and easy to digest, so that the body should not use its energy in digestion and can focus on fighting the infectious and inflammatory state of bronchitis. 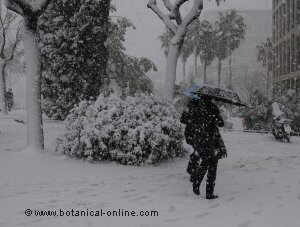 To do this, you also need a number of nutrients and energy, which you must provide through food. Potatoes, sweet potatoes, lentils, rice, quinoa, buckwheat or chickpeas are excellent sources of energy that can be included in the main meals, in the form of soups, boiled or in casseroles. At breakfast, oat flakes are very suitable, since they contain beta-glucans, a type of fiber that relieves throat irritation and helps improve immunity. It can be prepared in the form of porridge or muesli. All foods should include vegetables and fruits, as they provide nutrients necessary for the proper functioning of the immune system, such as vitamins A, E and C, and fiber: spinach, carrots, avocado, oranges, apples, pumpkin cream, nettle soup, bananas, seaweed, etc. Which vegetables are most recommended? Onions and garlic are highly recommended for their expectorant properties, especially if they are consumed raw. 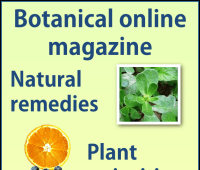 Flowers and leaves of garden nasturtium, arugula, radishes and turnips also have sulfur components with expectorant properties. What foods should not be lacking to strengthen the organism? Protein foods should be consumed because they are essential for the regeneration of bronchial tissues and because these are also the best sources of B vitamins and minerals such as zinc and selenium. Vegetarians can consume eggs, tofu or tempeh, for example. As a booster, you can take brewer’s yeast, which is sprinkled on the dishes as if it were cheese. Non-vegetarians can also include: fish, being highly recommended small oily fish, And white meat. Processed meat is not recommended. There are a number of foods that can help the body overcome bronchitis by means of improving bowel status. This is due to the fact that the need to care for the intestines is becoming more evident in order to have a healthy immune system. Bifidus yogurt and sauerkraut: for their contribution in healthy bacteria. Probiotic supplements: especially recommended if antibiotics have been taken during the treatment of bronchitis. Raw and cooked carrot: because of its high content of vitamin A, it helps to regenerate the digestive mucous. 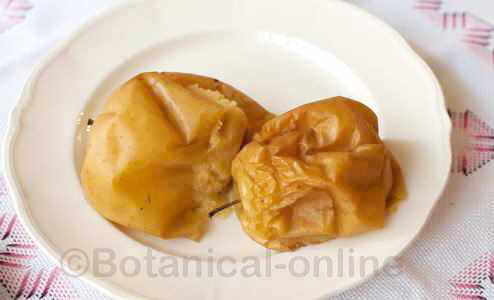 Baked apples: containing gelatinized pectin fiber, which is highly fermentable. It can be crushed and beaten. 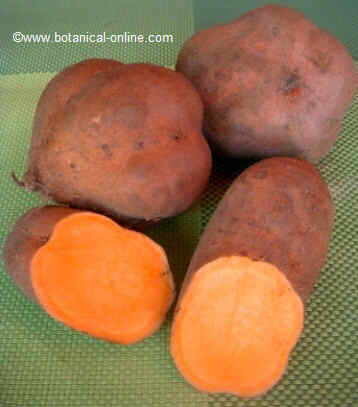 Potatoes boiled and cooled: contain resistant starch, another type of very fermentable fiber. 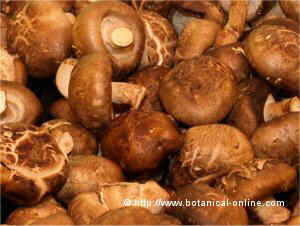 Shiitake, maitake and reishi are fungi that are credited with enhancing immunity and a sense of personal well-being. 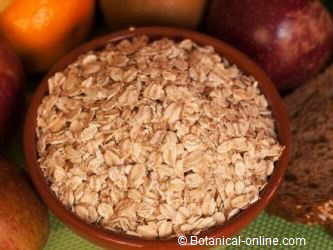 This is due to its delta-B-glucan content, with properties to stimulate the body’s natural defenses. For Asian people, these mushrooms are considered adaptogenic remedies, capable of supplying the deficits of the organism and of balancing the excesses, without causing overexcitation. They are used to increase the vitality of the organism. Traditionally they are said to prolong life. No matter if bronchitis is due to an infectious cause, or is caused by smoking, excess of mucus and inflammation of the airways, it causes the proliferation of germs and infections. The body has natural mechanisms to fight these infections, but by not smoking and providing certain nutrients, we can increase the defenses, decrease the symptoms and accelerate the cure of the disease. Foods rich in vitamin C are the ones that will help improve the immune system, as this vitamin is found in high concentration inside the leukocytes, defensive cells. 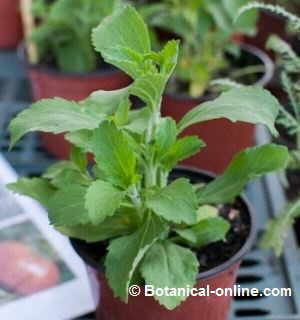 Thymol is a component of the essential oils of aromatic herbs used for food. 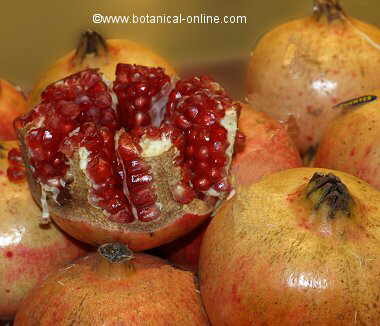 It has potent anti-inflammatory properties. 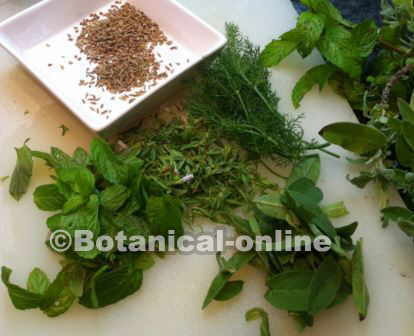 Therefore it is recommended to use them usually: rosemary, sage, savory, melissa, oregano, thyme, basil, etc. Also other spices such as anise, caraway, cumin, celery, etc. Infusions and inhalations (inhaling vapors) of these plants will also be advisable for bronchitis by helping to dissolve the mucus and expel them. 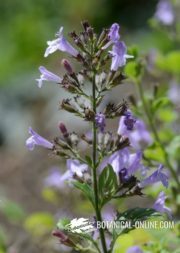 Pure essential oils should not be used. They are totally contraindicated. Turmeric (Curcuma longa): excellent anti-inflammatory and antibronchial. It can be used in recipes or take golden turmeric milk. Combine it with a pinch of black pepper to increase the absorption of its principles. Powdered spice: be careful not to bronchialize !!! Ginger (Zingiber officinale): is a potent anti-inflammatory and analgesic. Ingestion of this food decreases inflammation. You can take infusion of ginger or use as a spice in meals. If used powder: be careful not to bronchialize !!! Summary of the recommended diet for bronchitis, with the most advisable foods. The methods of cooking meals should be smooth and easy to digest: steamed, boiled, stews, salads, creams, papillote, etc. Fries are not recommended. 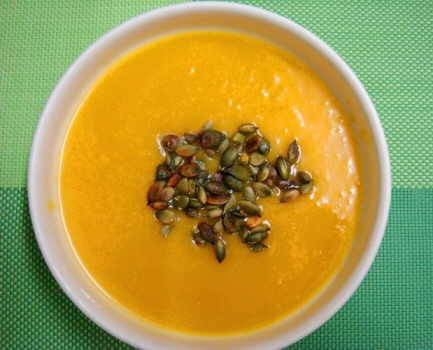 Soups, herbal teas and vegetable consumption, such as fruits and vegetables, will help replenish fluids lost through sweating, diarrhea, mucus, etc. Honey helps to soften the throat, although it should be taken in moderation because it can cause tooth decay. It is better to use raw honey because it conserves some antibiotic components that bees give. Raw honey is one that has not been pasteurized, normally purchased directly from the beekeeper. Bee pollen is another bee supplement that we can consume to increase the vitality of the organism. Very useful in children with lack of appetite.